Research shows that prolonged exposure to UV rays from the sun can damage your eyes. This damage includes cataracts, macular degeneration, pinguecula, pterygia, and photokeratitis (temporary vision loss). While you are out enjoying the sun this Spring Break and this summer, we at Advanced Family Eye Care encourage you to wear sunglasses with 100% UV protection. To support our commitment to your eye health, we are hosting a contest where you can win a pair of sunglasses valued up to $300. 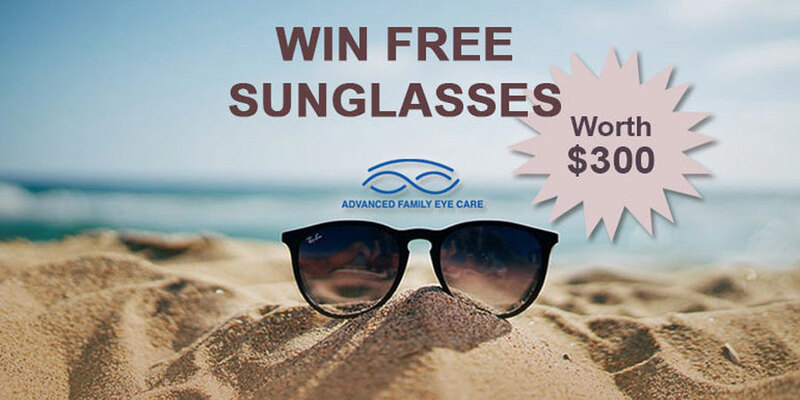 We will put your name in the jar, and a lucky winner will be drawn for sunglasses of their choosing from Advanced Family Eye Care valued up to $300. The drawing will be held on 3/29. Call 479-750-3937 or click on ‘request an appointment’ above.